The US Department of Education has emphasized the importance of value‐added assessment models in evaluating teaching effectiveness as part of its criteria in distributing stimulus funds through the Race to the Top program. Such national emphasis has led proponents and opponents of value‐added to speak up louder than ever before. As the most established of these systems, SAS EVAAS has taken the brunt of the detractors’ criticisms. 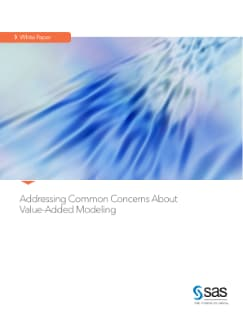 This paper addresses seven common concerns raised about value‐added models in general and about SAS® EVAAS® models in particular.